Disclosure: Disney provided me with party decorations and a hostess gift. No monetary payment was received. Opinions are my own. 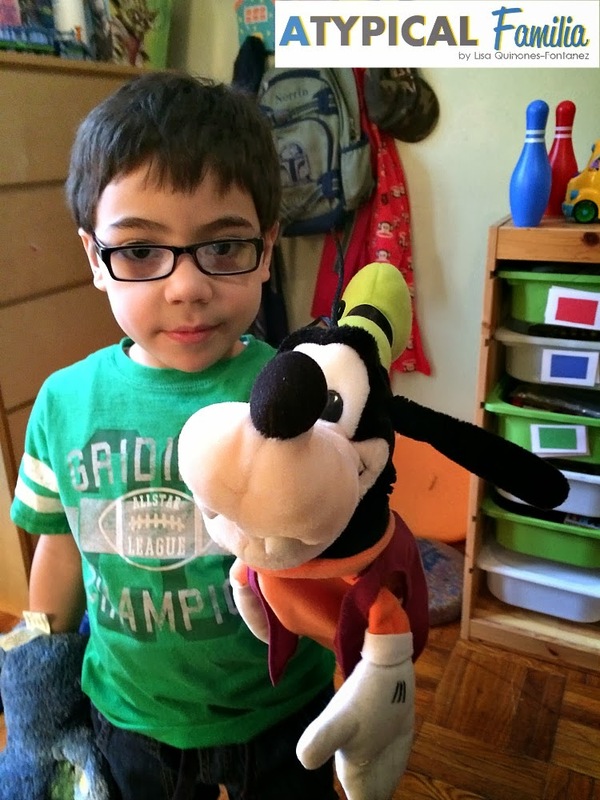 Last Saturday we partnered with Disney to host a #DisneySide Home celebration. It’s been some time since we’ve had a party at our place. Norrin has autism and socialization is difficult for him. His school is more than 20 miles from home, so after school playdates are nonexistent and he doesn’t have many friends. But I know he wants to socialization and I need to make more of an effort to make it happen. So when the opportunity came to host a party – I went for it. I invited five moms with their children (4 kids on the spectrum and 1 typical kid). And I asked Norrin’s amazing ABA therapist to come over and help. I am not used to hosting. So I was up late prepping food, making my photo booth cutouts and cleaning. Disney sent me the cutest Mickey Mouse cookie cutters and I bought these awesome Star Wars cookie cutters. I planned on baking cookies. I’ve never made cookies before. Unfortunately, there was a cookietastrophe and I frantically called my friend begging her to buy cookies for me. I used the cookie cutters for the cold cuts instead. Which were adorable on round crackers and perfect for little hands. I spent so much time, preparing, decorating and rushing around that I totally forgot to take pictures of my set up. But it was cute. 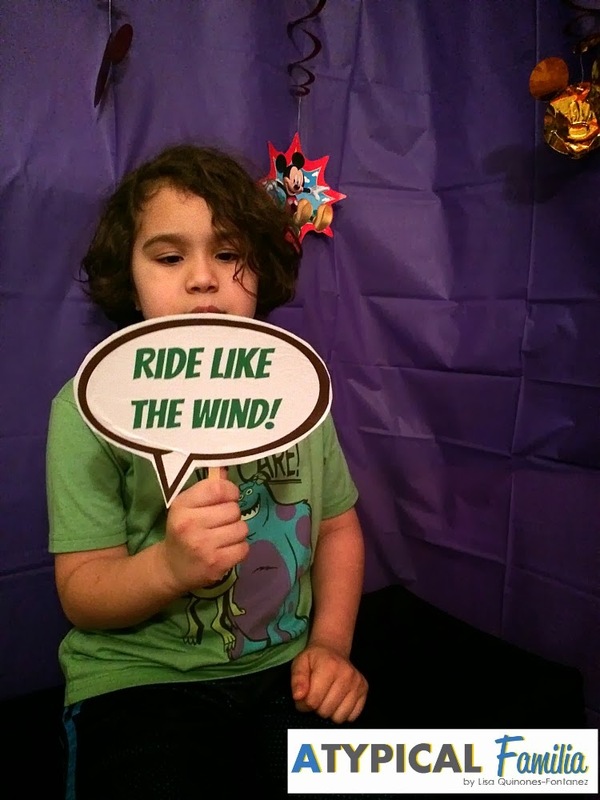 Especially my #DisneySide photo booth (which the adults loved more than the kids). Luckily I managed to take a pic of that. Check out my Pinterest board to see my inspiration. 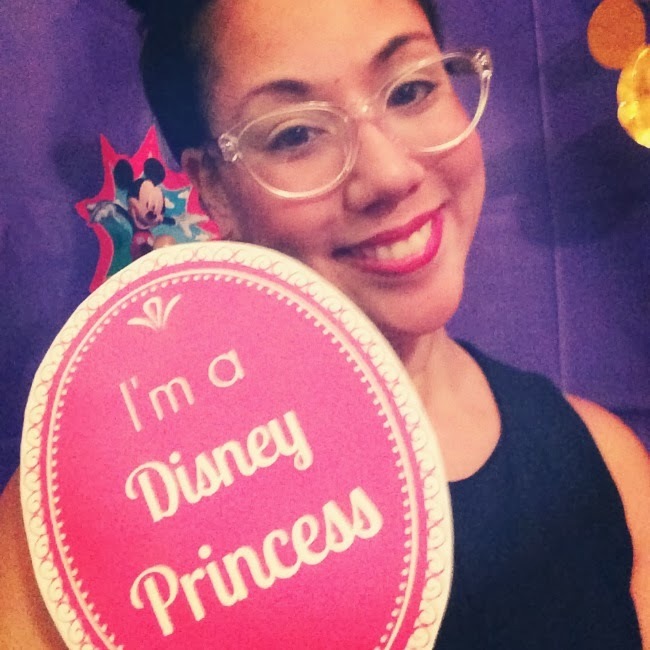 Follow Lisa Quinones-Fontanez’s board #DisneySide at Home Celebration on Pinterest. Oh you know…just Goofing around. Norrin rocking his Monsters Inc shirt and taking a quick pic.